BlueJeans offers cloud-based video, audio, and web conferencing services for businesses of all sizes. The platform supports conference calling, meeting recording, text chat, and content sharing. In this article, we covered user reviews and pricing. Ready to try BlueJeans? Get a free trial. Users who gave BlueJeans a positive review are impressed with the video and audio quality of the calls. Many also said that the program is stable, user-friendly, and accessible from anywhere with good internet connection. Some like the responsive screen sharing capabilities. One user who gave BlueJeans a positive review on G2 Crowd commended the video and audio clarity of the calls. He finds the mobile app to be useful as well since he’s always on the go. He also mentioned that the program is intuitive and that the pricing is affordable for both personal and business users. As of the date this article was written (11/16/2018), there are very few negative reviews for BlueJeans online. However, some users said that good internet bandwidth is required to make quality video and audio calls. Some also wished for additional third-party integrations. One user who gave BlueJeans a critical review on Capterra reported that recordings are not saved in real time. He also said that the program consumes more bandwidth compared to similar applications. Lastly, he mentioned that some integrations, such as those with meeting room scheduling applications, don’t work smoothly most of the time. BlueJeans offers three subscription plans: Me ($12.49/host/month), My Team ($16.65/host/month), and My Company (custom priced). The main differences between the plans include the number of participants allowed, as well as the availability of premium features such as cloud meeting recording, messaging apps integration, and custom branding. Ready to try BlueJeans? Get a free trial. What operating systems work with BlueJeans? 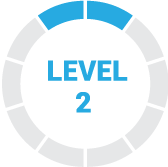 BlueJeans works with the following: Windows 10, 8, 7 (SP1+), and Vista (SP2+); Mac OS X 10.9+; as well as Linux RHEL 7+ and Fedora 22+. The company also recommends its users to download and install their desktop software to get the best experience. 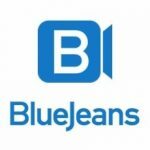 What’s the bandwidth required to use BlueJeans? The company recommends a minimum bandwidth of 1.5 Mbps. Not sure if BlueJeans is the right fit for you? Read our reviews of all top video conferencing software or check out one of these three BlueJeans alternatives.